I've caught myself padding posts for length lately out of a misplaced notion that "good enough" requires "long enough." That's a common writer's trap, so it's a habit I need to break. Conveniently, this occurred to me while I was trying to wax eloquent about a simple and obvious step of kit packing. 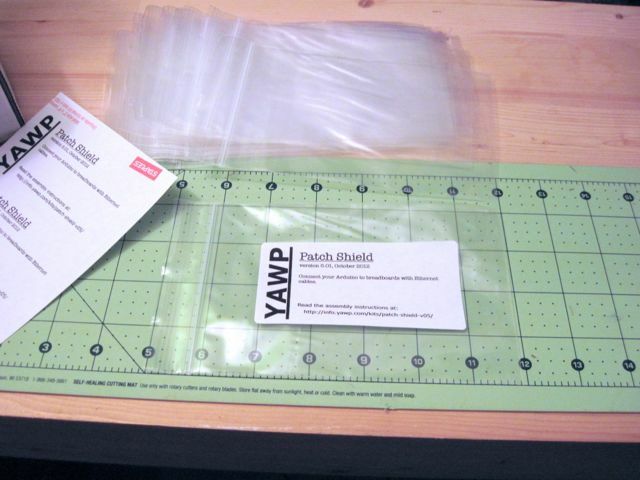 I use bag labels for my printed matter rather than dropping a printed sheet into the bag. 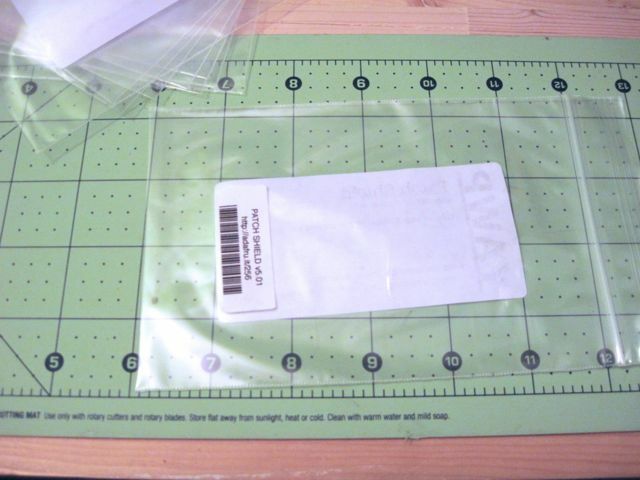 I use a grid to align the labels as I put them on the bags. The QA tag is the hook that takes me to a subject that actually warrants a few words. I can't put enough emphasis on how easy it is to screw up a shipment. 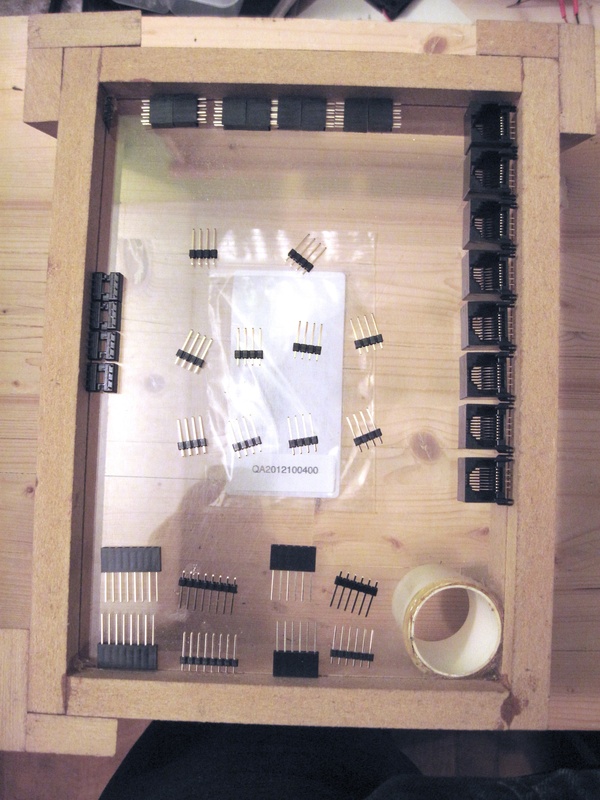 I once sent out a shipment of kits without ethernet jacks (which are kind of the main piece). Fortunately for me, Limor at Adafruit is amazingly patient and easy to work with, so I was able to fix the mistake. Still, you should never allow mistakes like that to get out your door. I learned from my mistakes by making them, and am posting this in the hope that someone else can learn by reading about them. As with many such things, the solution was mostly a matter of applying things I already knew once I finally believed they applied to me. In this case, it was a simple matter of adding documentation to my process. 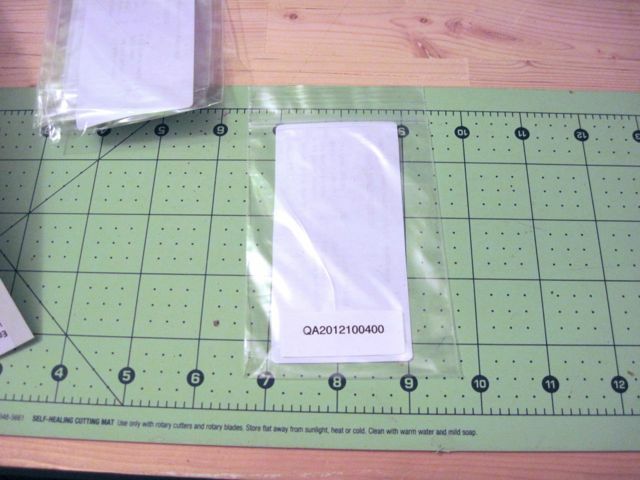 Parts go out of that counting table directly into the bag. If I even think there's a problem, I dump the bag out and count/photograph the parts again. The full-size photo gives me a view of the parts that's roughly twice actual size so I can confirm details like bent pins if I need to. 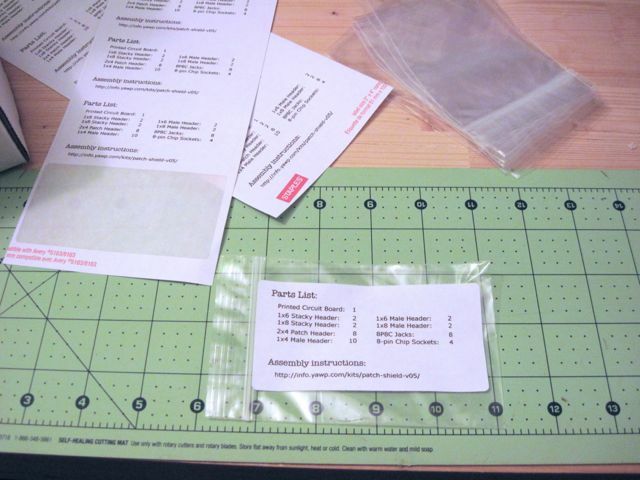 The parts are arranged in a standard layout that makes checking the groups and item counts trivial. It's another "out of the head and into the world" trick. I've looked at so many of those photos by now that I can tell at a glance if any parts are missing, which was exactly the point of the exercise. As for the counting table itself, that will be the subject of my next post.